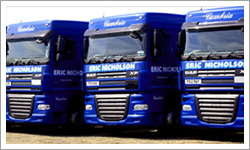 Eric Nicholson Transport operates road haulage services throughout the UK, for a customer base ranging from private individuals to large multi-nationals. 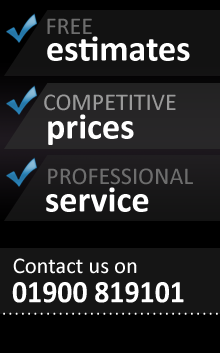 Established in 1976, we are a family run road haulage services business based in West Cumbria. 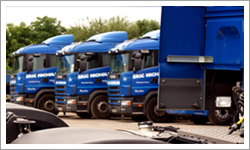 Eric Nicholson Transport has been built up by being versatile in its operation, and through our dedication, we provide a first class service with 100% reliability. We pride ourselves on understanding our customers' transport and distribution needs by providing a bespoke service. We offer a range of specialised equipment and services, including full-load and part-load express road haulage. Some of these are listed on the services page. Eric Nicholson Transport employs drivers trained for the transport of dangerous goods by road and we are registered with Cumbria County Council for the transport of waste products complying with the Control of Pollution Act 1989. For more information please refer to our contacts page.